The Fokker G.I was a Dutch heavy twin-engined fighter plane comparable in size and role to the German Messerschmitt Bf 110 and the British Mosquito. Although in production prior to World War II, its combat introduction came at a time when the Netherlands was overrun. The few G.1s that were mustered into service were able to score some victories, but ultimately the aircraft was withdrawn from operations, and the remainder of the production run was taken over by the Luftwaffe as trainers. The G.I, given the nickname le Faucheur ("reaper" in French), was designed as a private venture in 1936 by Fokker chief engineer Dr. Schatzki. Intended for the role of jachtkruiser, "heavy" fighter or air cruiser, able to gain air superiority over the battlefield as well as being a bomber destroyer, the G.1 would fulfill a role seen as important at the time, by advocates of Giulio Douhet's theories on air power. The Fokker G.I utilized a twin-engined, twin-boom layout that featured a central nacelle housing two or three crew members (a pilot, radio operator/navigator/rear gunner or a bombardier) as well as a formidable armament of twin 23 mm (.91 in) Madsen cannon and a pair of 7.9 mm (.31 in) machine guns (later eight machine guns) in the nose and one in a rear turret. Besides its main mission, the G.1 could be configured for ground attack and light bombing missions (it could carry a bomb load of one 400 kg/882 lb bomb or combinations of two 200 kg/441 lb or 10 26 kg/57 lb bombs). The design and construction of the prototype (registered as X-2) was completed in just seven months. At its introduction at the Paris Air Show in November 1936, even before its first flight, the G.I was a sensation, appearing in a purple and yellow finish (evocative of the Spanish Republican colors, thought to be Fokker's first export customer). Like all Fokker aircraft of the period, the G.I was of mixed construction; the front of the central pod and the tail booms were built around a welded frame, covered with aluminium plating. The back of the central pod, however, as well as the wings, had a wooden frame, covered with triplex, a technique also used in Fokker's successful passenger aircraft at that time. The G.I prototype, powered by 485 kW (650 hp) Hispano-Suiza 14AB-02/03 engines, had its first flight at Welschap Airfield, near Eindhoven on 16 March 1937 with Karel Toman-Mares at the controls. Later, Emil Meinecke took over much of the test flights. The maiden flight went well, but a subsequent test flight in September 1937 ended with a supercharger explosion that nearly caused the loss of the prototype. The accident prompted a replacement of the Hispano-Suiza engines with 559 kW (750 hp) Pratt & Whitney SB4-G Twin Wasp Junior engines. Picture - Replica of the G.I at the Dutch Air Force Museum in Soesterberg, The Netherlands. During testing, the company received a contract from the Spanish Republican government for 26 G.1 "export" versions with Pratt & Whitney engines. Despite receiving payment, the order was destined never to be fulfilled as the Dutch government placed an embargo on the sale of military equipment to Spain. Fokker however continued building the aircraft and a story was released to the press that they were intended for Finland, hence the persistent tales about a "Finnish" order. Besides the Dutch Luchtvaartafdeeling, several foreign air forces showed an interest in the G.I. as either a fighter or dive-bomber. In order to test its potential as a dive-bomber, the G.1 prototype was fitted with hydraulically-operated dive brakes under the wings. Flight tests revealed that the G.1 was capable of diving at over 644 km/h (400 mph) and demonstrated aerobatic capabilities. Swedish Air Force officer Captain Bjorn Bjuggren tested the G.1 in over 20 dives and reported favourably on its effectiveness as a dive bomber. Orders for G.1b Wasp aircraft came from Spain (26 ordered) and Sweden (18), while the Mercury variant was ordered by Denmark (12) and Sweden (72). Although Belgium, Turkey, Hungary and Switzerland air forces showed great interest, they never placed firm orders. The Luchtvaartafdeeling ordered 36 G.Ias with 541 kW (725 hp) Bristol Mercury VIII engines, the standard engine used by the Dutch Air Force in the Fokker D.XXI fighter, in order to equip two squadrons. Only the first four examples were built as three-seaters intended for ground-attack, with the remainder being completed as two-seat fighters. During the lead-up to hostilities, a total of 26 G.Ias were operational in the 3rd Jachtvliegtuigafdeling (JaVA) at Rotterdam (Waalhaven Airfield), and 4th JaVA Fighter Group at Bergen near Alkmaar. The aircraft were actively involved in border patrols and in order to ensure neutrality, on 20 March 1940, a G.1a from 4th JaVA forced down a Armstrong Whitworth Whitley from the RAF's 77 sqn when it strayed into Dutch air space. On 10 May 1940, when Nazi Germany invaded the Netherlands, 23 G.1a aircraft were serviceable while production of Spain's order of the G.1b variant continued with a dozen aircraft completed, awaiting armament. The German invasion started with an early morning (03:50 hours) Luftwaffe attack on the Dutch airfields. While the 4th JaVA received a devastating blow, losing all but one of its aircraft, at least two 3rd JaVA G.1a fighters were launched in time to down three of the Heinkel He 111 bombers. The two squadrons continued to fly, but with mounting losses, bringing their numbers down to three airworthy aircraft by the end of the first day. At the Fokker factory, the embargoed Spanish G.1bs aircraft were confiscated. All of these aircraft were unarmed, but three examples were hastily fitted with a four nose-mounted machine gun armament array. In the "Five-day War", the available G.1 fighters were mainly deployed in ground attack missions, strafing advancing German infantry units, but also used to attack Junkers Ju 52/3m transports. Although reports are fragmentary and inaccurate as to the results, G.1 fighters were employed over Rotterdam and the Hague, contributing to the loss of 167 Ju 52s, scoring up to 14 confirmed kills. At the conclusion of hostilities, several G.Is were captured by the Germans, with the remainder of the Spanish order and G.1bs that the Danish government had ordered in 1939 completed at the Fokker plant by mid-1941 in order for the G.1s to be assigned as fighter trainers for Bf 110 crews at Wiener Neustadt. For the next two years, Flugzeugfx�hrerschule (B) 8 flew the G.1b until attrition grounded the fleet. On 5 May 1941, a Fokker test pilot, Hidde Leegstra, accompanied by engineer (and member of the Fokker Board of Directors) Ir. Piet Vos, managed to fly a G.1 to England. The crew's subterfuge involved acquiring additional fuel for the supposed test flight as well as ducking into clouds to deter the trailing Luftwaffe aircraft from following. After landing in England, the G.1 was conscripted by Phillips and Powis Aircraft, later Miles Aircraft. The company had designed an all-wooden fighter-bomber, and was interested in the G.1 wing structure and its resistance to the rigours of a British climate. Despite being left outdoors for the remainder of the war, the G.1 survived only to be eventually scrapped after 1945. 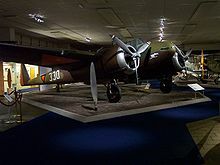 There are no surviving G.Is today, although a replica can be found at the Dutch Air Force Museum in Soesterberg. G.I : Prototype,powered by two Hispano-Suiza 14AB-02/03 engines; one built, c/n 5419. G.Ia : Two and three-seat models, powered by Bristol Mercury VIII engines; 36 built, c/n 5521-5556. G.Ib : Two-seat, smaller "export model" , powered by Pratt & Whitney SB4-G Twin Wasp Junior; 25 or 26 built, c/n 5557-5581. Green, William, ed. "Le Faucheur... Fokker's Formidable G.1". Flying Review International, Volume 22, no. 8, April 1967. Hooftman, Hugo. Fokker G-1, Tweede druk (Nederlandse Vliegtuig Encyclopedie, deel 12) (in Dutch). Bennekom, the Netherlands: Cockpit-Uitgeverij, 1981. Ketley, Barry and Mark Rolfe. Luftwaffe Fledglings 1935-1945: Luftwaffe Training Units and their Aircraft. Aldershot, UK: Hikoki Publications, 1996. Taylor, John W.R. "Fokker G.1." Combat Aircraft of the World from 1909 to the present. New York: G.P. Putnam's Sons, 1969. ISBN 0-425-03633-2. Van der Klaauw, Bart. The Fokker G-1 (Aircraft in Profile, Volume 6, number 134). Windsor, Berkshire, UK: Profile Publications Ltd., 1966.